Well, it's finally here! After a long and (for some fans at least, if not England's) arduous qualification process that started way back in September 2014, it's finally time to savour the latest running of the European football championships 'proper'. All eyes will be on France as no fewer than 24 national teams duke it out for the honour of lifting the prestigious Henri Delaunay Trophy. Naturally, many of us will hope that the headlines coming out of this proud country next summer will relate purely to sport, after the extremely sad events in Paris in November. So with that in mind, whether or not you intend to make money from betting on the tournament with a little help from our experts in matched bets here at Profit Accumulator, what are the key things that you need to know about UEFA EURO 2016? ...in more ways than one. Since France was chosen as the host nation of the competition way back in May 2010, we have seen Spain triumph in both the World Cup in South Africa and the previous edition of this tournament in 2012, only to flatter to deceive in 2014 as Germany reclaimed international football's biggest trophy of all. Accordingly, and of perhaps greatest interest for those looking to make money online from the tournament this summer, the Germans figure highly in the current favourites list, being backed at 10/3 by the likes of William Hill, Ladbrokes and Betfred at the time of typing. But with France having tasted victory when they last hosted this tournament in 1984, it's no surprise to see them being given the same odds by Paddypower. Spain, Belgium, England, Italy and Portugal are among the other contenders on which you may most fancy a flutter this July. But it's also been a lengthy qualification campaign that claimed some scalps, most notably the Netherlands, who could only manage fourth place in their qualifying group. It's time for some trivia! Of course, in-between swotting up on what matched bets actually are and signing up for a Platinum plan with ourselves here at Profit Accumulator (after all, you'll have a lot of sports betting opportunities in general this summer, from Wimbledon to the Rio Olympics), it's possible that you might get a little bored waiting for the action to start. Sure, there's always the intensely competitive conclusion to the Premier League title race and that of the other major football leagues to watch, but if you'd like an early opportunity to get your European football nerd on, here's a nice little factual infographic we put together about all 24 'runners and riders'. 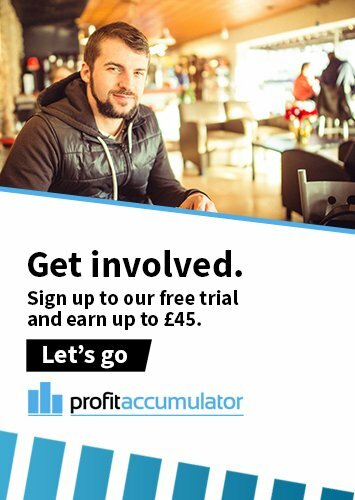 Whatever team you support - England, Wales, Northern Ireland, Republic of Ireland or perhaps one of the continent's other giants - everyone here at Profit Accumulator wishes you the very happiest sports betting and watching experience this summer!